Randy Gentile didn't just pitch a no-hitter for his high school team in 1985, he pitched in a game that locked his team in for a conference championship tie, according to The Milwaukee Journal. Gentile struck out eight in the 5-1 the Kenosha St. Joseph High School victory, The Journal wrote. "(Gentile) came up with the good game at the right time," St. Joseph coach Nick Perrine told The Journal. "But he's been our clutch performer all year." Gentile went on from St. Joseph to Illinois State University, where he played as a fielder. From Illinois State, Gentile turned pro with the Twins. He also returned to Kenosha. His pro career, though, was brief. It lasted just two seasons, his second spent with the hometown single-A Kenosha Twins. 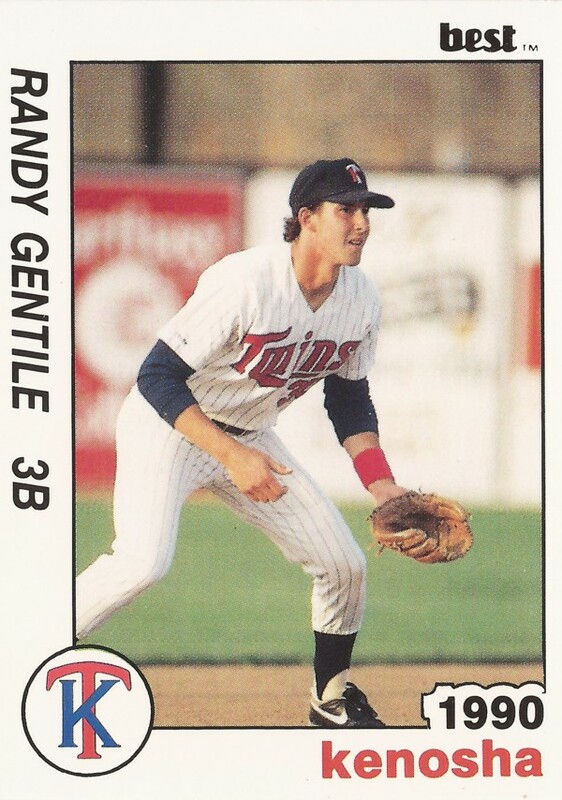 Gentile's pro career began in 1989, taken by the Twins in the 37th round of the draft out of Illinois State. At Illinois State, Gentile won all-conference honorable mention in 1989. With the Twins, Gentile started at rookie Elizabethton. He also focused solely on fielding, playing third base. In 61 games there in 1989, he hit .270, with three home runs and 38 RBI. For 1990, Gentile was assigned to his hometown team, the Midwest League's Kenosha Twins. In 80 games, though, his batting average dropped to .209. He hit seven home runs, knocking in 34. It was his final season as a pro.